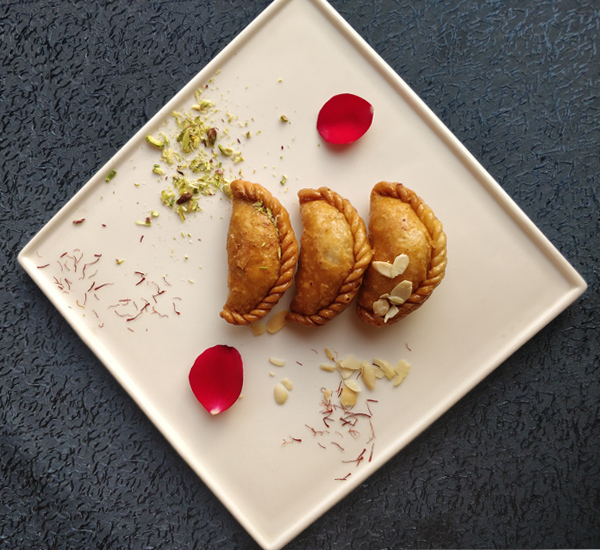 Holi Recipes to help you celebrate the festival to the hilt by Executive Chef Avinash Kumar, Novotel Imagica Khopoli. • First, rinse the white urad dal and moong dal and soak it for 4- 5 hours. Now, grind the dal in the grinder, add cumin seeds, ginger and asafoetida. Add water accordingly. Now make a fluffy and smooth batter. • Next, make wadas and deep-fry it until it turns golden in color, after that soak them in water for about 25- 30 minutes. Now remove excess water from the wadas by pressing it gently. • Take chilled curd and beat it until smooth, now gently put the wadas in it. Make green chutney and tamarind chutney. 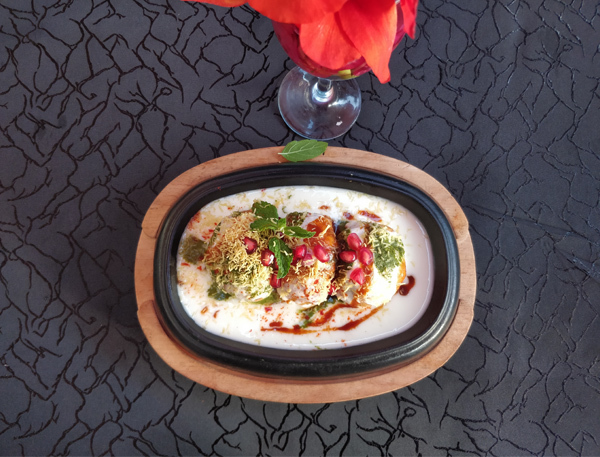 • To make individual portion of dahi bhalla, place dahi wada in a plate then add more curd if required, put green chutney, tamarind chutney and pomegranate arils. Sprinkle some red chilli powder, roasted cumin powder and fine chopped fresh coriander. Finally garnish with fine sev and serve. • Make dough of refined flour, semolina, salt and soda; keep the dough for resting for about 15 minutes. Roll it and cut into circles and deep fry it or buy readymade puris from the market. 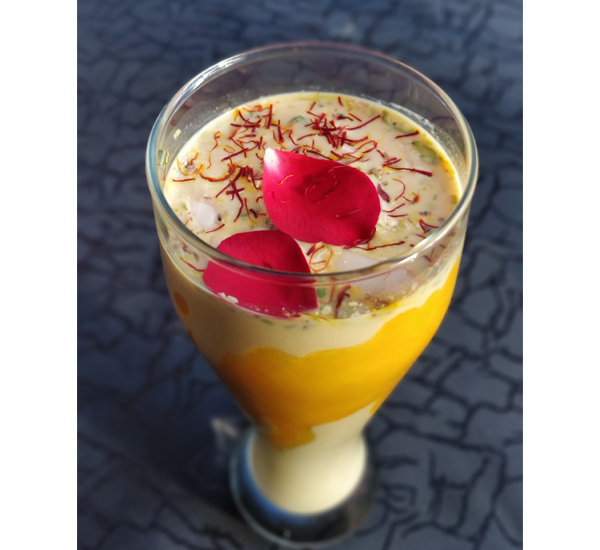 • Soak some tamarind, make pulp out of it, and mix it with the ginger, black salt and jaggery. Add water till desired consistency. • Grind mint leaves, coriander, green chilli, amchoor powder black salt and cumin powder and make a paste add water until desired consistency. • Take mashed potato, kala chana, red chilli powder, cumin-coriander powder, chaat masala powder, coriander leaves and salt and make the stuffing for poori. • Make sprout and Kabuli chana chat by mixing chaat masala and chopped onion and fresh coriander. 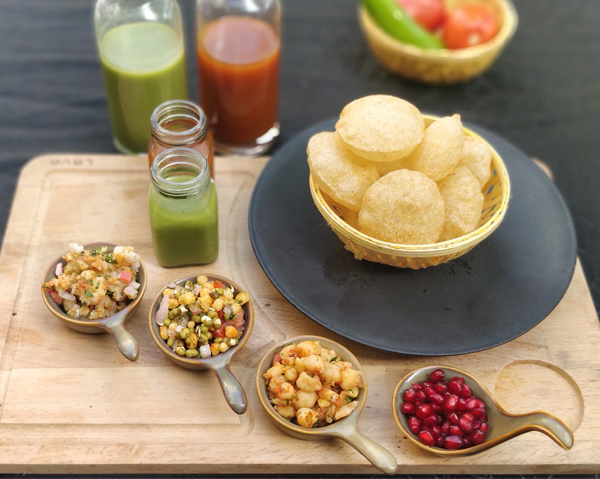 • Assemble the pani poori stuffed it with the desired stuffing and pour pani on the poori and serve.